Part three of this IoT project details the equipment necessary to measure the temperature and control a fan with a Raspberry Pi 2, Azure Service Bus, and a Microsoft Band. In this article I will show how you can measure temperature on a Raspberry PI2 using an Universal Windows Platform App. 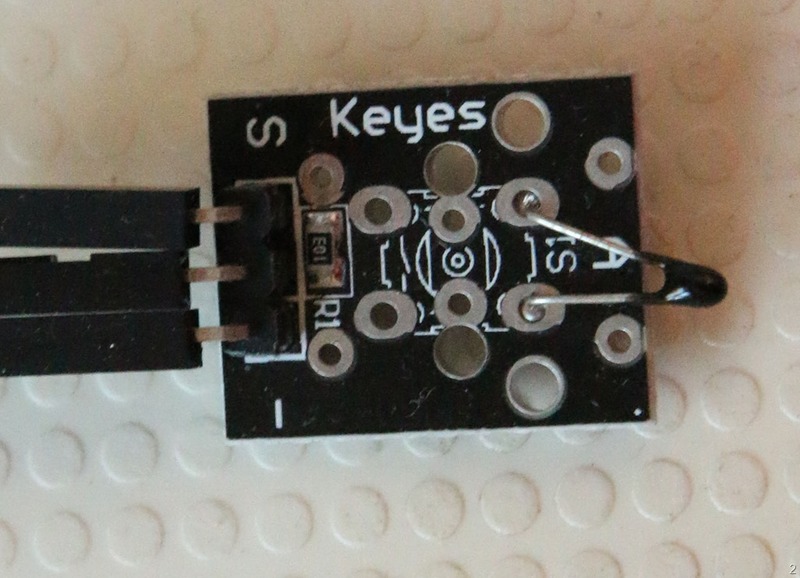 To this extent we will use a Keyes Analog-temperature sensor and an ADC0832 analog-digital-convertor, as well as a 2-color (red-yellow) LED to show what's happening (and whether anything is happening at all) when running headless. The hardware configuration has already been detailed in the first post of this series, this post will only detail a part of software. I have built this app using dependency injection, although not a very fancy sort, inspired by a colleague and some things I saw recently in code. The app that is intended to run on the Raspberry PI2 is called TemperatureReader (I have never been good at original names) and (mostly) TemperatureReader.Logic. You can find all the code in the demo solution. But of course I will highlight the way it's done. I use a bit of primitive dependency injection here, and keep the separate tasks - well, separated - and use only events and/or interfaces to loosely couple these objects. You will see all major objects have interfaces defined on them, and are only accessed using those interfaces - for instance, the constructor of the AnalogTemperatureSensorController expects an IGpioService, not a GpioService. This is actually a very simple class, and it's intent is to remove the necessity of calling Windows.Foundation.Metadata.ApiInformation.IsTypePresent every time you need a GpioController. You can now simply check whether the Controller property isn't null, which is a bit easier and shorter. The Controller property unfortunately is defined as it's implementing class type in stead of an interface - there is, in fact an IGpioController class but that's internal. I have no idea why. The temperature is sent to all subscribers of the OnTemperatureMeasured event. And all you have to provide is the Gpio service. The rest has default values that come out of the Settings definitions. 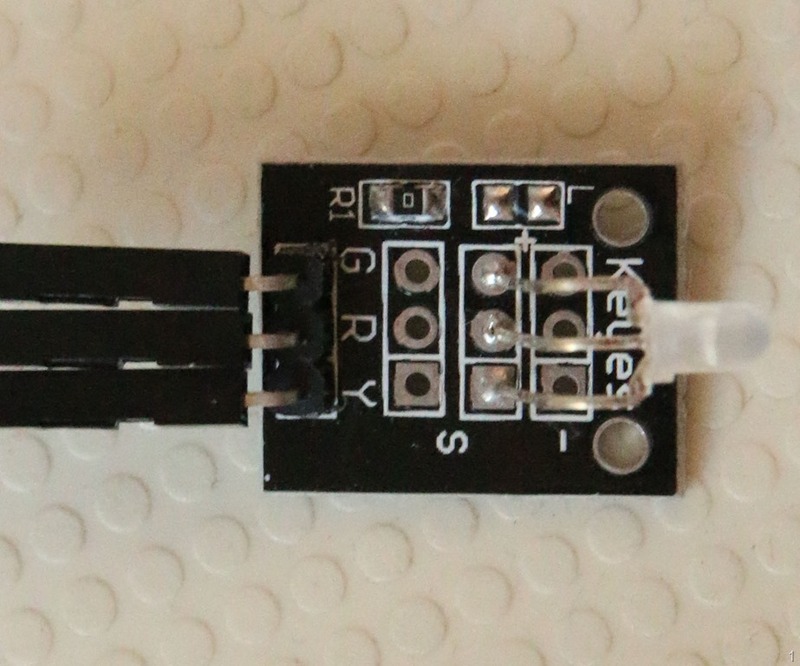 You will see three pins connected to the A/D converter (5, 6 and 13, see the first blog post), the time between temperature reading (5000, or 5 seconds) and the maximum number of retries the component should try before admitting failure and telling that the outside world. It looks rather complicated, but all it does is run indefinitely (until cancelled). It reads data (temperature) every five seconds. If reading fails, it tries again for 10 times (_maxRetries, supplied by constructor) and if it still fails, it will notify the outside world. In any case, it will wait for the rest of the _waitTime (5 seconds) before a new cycle of trying to read temperature again. It is important to understand that the A/D converter spits out data digital - but can do so only one bit at a time. So the whole stuff is done serially, that is: first one bit, than the other, via the _adcDigitalIoPin. But what you see are two loops. 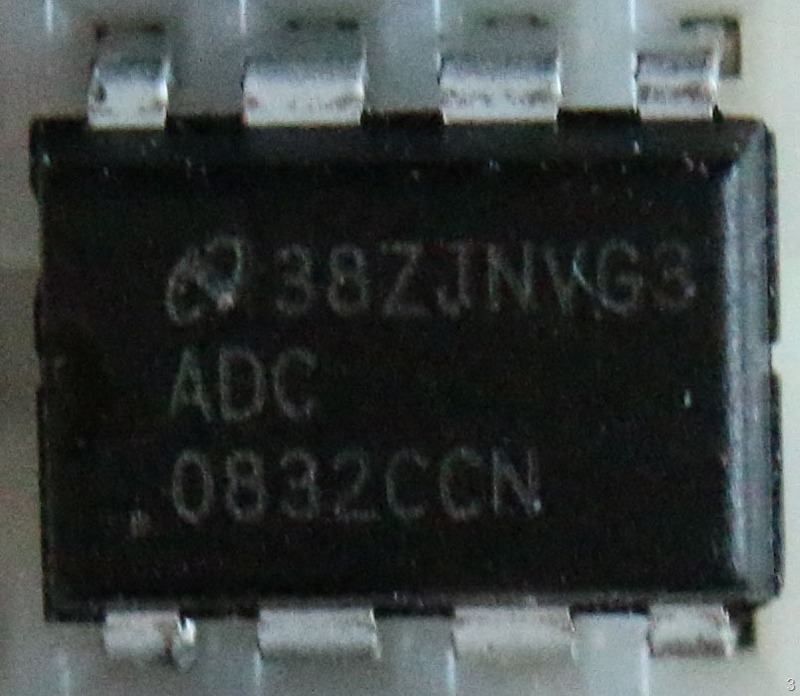 The _adcClkPin is turned on, then we wait for two milliseconds, then we turn it off again, then we wait for two milliseconds again, and then we read the _adcDigitalIoPin pin's value. We do that for every of the 8 bits. As a kind of parity, the second byte is read in the same way, but shifted in a different way into the resulting sequence variable. When the resulting integer values (sequence1 and sequence2) are the same, we have successfully read a temperature. I am not a bit shifting hero myself, so don't ask me the details, but this works. Now we only need to convert that to degrees Celsius. From the Sunfounders manual I took a bit of code to do that, and got totally bizarre results. So I took a digital thermometer, made measurements on different times of the day and on different temperatures, and found out that the formula at the bottom of the ReadData method quite adequately converts the value the A/D converter spits out into temperatures (albeit it's mostly like 0.5-1 °C too high, but that's details. If you rebuild this with your own sensor, you might have to get some measurements yourself first to correct conversion values. Presumably, this in some way programs the A/D converter. The three pins get turned on and off and then there is a wait period of 2 milliseconds. What kind of instructions it gets - I have really no idea. I am guessing the 2 milliseconds have the same function as a semicolon in C# - end of statement. I hope that someone who reads this blog can enlighten me. But if you initialize the A/D converter this way, it will read temperature data in a intelligible way - that is, one that is compatible with what ReadData needs. And I won't pretend I wrote this myself - I was stuck on Task.Delay problems (albeit for a different sensor) and then a Microsoftie came to help. This class is best described as a wrapper hiding the intricacies of the AnalogTemperatureSensorController - and it handles the 'display' too, that is - it shows when data is read by blinking a LED either green or red, depending whether the temperature was successfully read or not. In addition, it shows a red/green blinking sequence when it starts up. The constructor follows the pattern we have already seen - most of what it needs (GpioService,and AnalogTemperatureSensorController) is injected to it from outside, and the pinsettings and other settings are optional and imported from the Settings class. That is, it blinks the LED red-green for a couple of times. Note this is a yellow-red light, so turning the R pin only makes it red, turning on both both pins makes it green. The private method GetPin makes sure the pin is initialized and sets it to the right (output) mode. But as you can see, I don't use a SwitchDevice, but a StatusLed. A very simple child class of SwitchDevice that has an extra method Flash that turns on a LED for a certain number of milliseconds, then turns it off again. Easy as cake. As you can see, by using loosely coupled high level components you can hide a lot of the low level complexity that is going on under the hood and let those components play together in a way that makes you can still understand after returning to your code after a while. Having said that, the low level things themselves can be quite daunting and I must admit that for some things I just clung to examples in C that worked - and then translated then to C#. It does not really matter - I quite often use software libraries a well whose inner workings I don't quite understand, but I feel a bit like threading on thin ice. Thanks to Jesse Caplan for his explanation of issues with Task.Delay in time-critical code and the SynchronousWaiter sample. Check the demo solution for all code running together.